Narendra Damodardas Modi born 17 September 1950 is an Indian politician who has been the 14th Chief Minister of the state of Gujarat since 2001. He is the prime ministerial candidate of the BJP-led National Democratic Alliance for the upcoming 2014 Indian general elections. He seems to be most accepted and probably will be the Next Prime Minister of India. Arvind Kejriwal (born 16 August 1968, Haryana) is a former bureaucrat and politician who founded the Aam Aadmi Party (AAP). 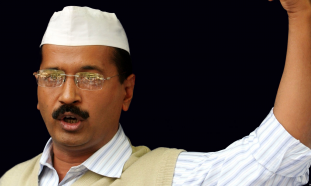 He served as the Chief Minister of Delhi for a term of 49 days after taking oath on December 28, 2013. Kejriwal is a graduate of the Indian Institute of Technology Kharagpur. He worked for the Indian Revenue Service (IRS) as a Joint Commissioner in the Income Tax Department. He is well known for his efforts to enact and implement the Right to Information (RTI) Act at grassroots level and his role in drafting a proposed Jan Lokpal Bill. 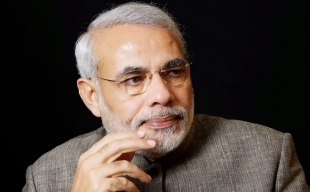 Where we know that most Probally Mr. Narendra Modi will be the Next Prime Minister of India. which it seems to be as of now, but this is POLITICS... Who know what can happen, we might see Rahul Gandhi even to be the Next Prime Minister. Yes...! It will be too much to believe that Arvind Kejriwal will be prime minister of India when AAP party is going to contest electioin for first time. Seeing the current trend and need for CHANGE Yes They will make a impact this time but to belive him to be Prime Minister from This Party will be too Much. So Just like the person whom you admire the most. Need not need to Say you will not miss a chance to share it. May Be you may see few like of single or double digits only on this platform for each of them while you are reading this which might surprise you why so less number of people which is so high while comparing with other site.... But Remember our platform have started this in month of March 2014 and with no fake counts which you may see on other platforms. So DO VOTE Here...! As this is a LATEST Post on this topic and THERE IS NO MANUPULATION Option kept which will make our platform different from others.